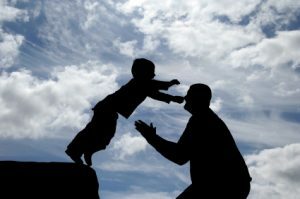 I have previously written about faith like a child here, but in light of the release of my new book on faith, let me revisit the idea of childlike faith. When they say this, they mean that they don’t ask questions about their beliefs, nor do they wonder if what they believe is true. Childlike faith is often described as a faith that does not doubt, question, or seek explanations; it just believes. But this is not childlike faith. 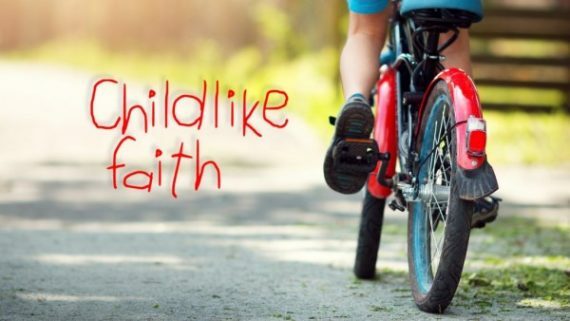 So what is childlike faith? First, while it is completely fine if a person does not want to ask questions about what they believe or seek answers about why they believe what they do, they should not look down upon those who do ask questions. Nor should they prohibit people from doing so. Some who claim to have “childlike faith” wear it as a badge of honor, seeming to indicate to others that their unquestioning faith is superior to those who ask questions and seek explanations. For this reason, “childlike faith” could actually be called “arrogant faith” for those who claim to have it sometimes look down on those who require reason, logic, and explanations for what they believe. In reality, they don’t “just believe the Bible.” They believe a particular interpretation or explanation of the Bible, and often claim to “just believe the Bible” when someone comes along and presents a different perspective or explanation. When faith is thought of as “blind faith” or a “leap into the void” in a way that does not require reason, logic, or explanation, those who are able to maintain this sort of faith sometimes have the tendency to look down on those who require reason, logic, and explanation for their beliefs. Of course, the opposite is also true. People who use reason and logic to support their beliefs often condemn those who don’t for having an “ignorant and uneducated faith.” This is not good either. So if a person does not want to ask questions, there is no requirement to do so. Many people do not enjoy the “life of the mind” and should not be expected to engage in such practices. However, this preference should not be equated with childlike faith. Those who do not seek to dive deep into theology and seek answers to questions should not look down on those who do seek such answers as having a “lesser faith” (and vice versa). So rather than say that a faith which does not question is “childlike faith” it might be better to simply call it an unquestioning faith. This is the second reason that childlike faith cannot be equated with the lack of desire to ask questions. 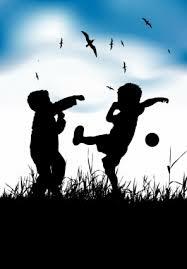 Childlike faith is not about the avoidance of questions, for children ask many, many questions. As any parent will tell you, the unrelenting barrage of questions from a two-year old can become quite exhausting. Therefore, it could easily be argued that true “childlike faith” is actually a faith that asks lots of questions. 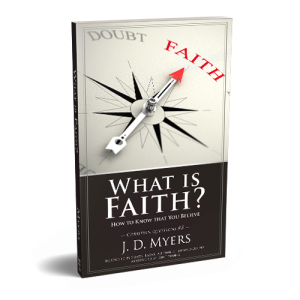 So the desire (or lack of desire) to ask questions has nothing to do with whether or not a person has childlike faith. 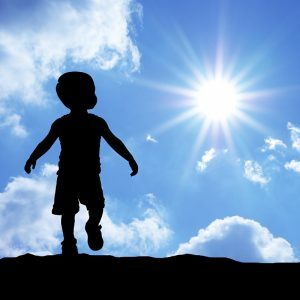 The third reason that a faith which does not ask question or seek explanations cannot be called “childlike faith” is because there are explanations and reasons for what a child believes … even if they themselves are not aware of what those reasons are. In other words, children do not believe anything without reason. The most common reason that children believe what they believe is because someone they trust told them what to believe. Children often simply believe whatever their parents and teachers tell them. Therefore, true childlike faith is not an unthinking faith, for the authority of the person who teaches is a factor that faith takes into consideration. Something similar occurs whenever a person has a so-called “unquestioning faith.” They do not believe without reason; they simply have not thought through what the reasons and explanations for their beliefs might be. Instead, they believe what a pastor or teacher taught them, or what seems to be the “plain reading” of Scripture (though careful, contextual studies of the text often reveal that the “plain reading” is not the best reading). There is nothing wrong with not knowing exactly why you have the beliefs you have, but a lack of understanding about why should not be confused with a lack of explanation. There are explanations for why you believe what you believe, even if you don’t know what these explanations are. But everybody, over time, naturally and normally grows in their understanding and gains explanations for their beliefs. While initially, a belief might be gained because “I learned it in Kindergarten,” this belief will either remain unquestioned and unchallenged throughout life, or it will be challenged and questioned. If it is challenged and questioned, the belief will either be supported and affirmed, or disproven and denied. But nobody’s beliefs all stay the same throughout all of life. Instead, everybody matures and grows in what they think and believe. This is normal, natural, and just as God intended. Just as children grow and mature, so also does faith. This is the way God made humans, and this is the way God made faith. Which brings up the fourth and final reason that unquestioning faith cannot be equated with childlike faith. And it is this: “childlike faith” is not found in the Bible. When people refer to “childlike faith” or “faith like a child,” they have in mind the sorts of things Jesus says in Matthew 18:3, Mark 10:14, and Luke 18:17, where He teaches that the kingdom of heaven belongs to little children. But in these passages, Jesus isn’t talking about faith. In fact, He doesn’t mention “faith” at all. Instead, Jesus is talking about entering the kingdom of heaven, and He encourages His listeners to humble themselves like a child and receive Him like a child (Matt 18:4-5; Mark 10:14) if they want to see the kingdom of heaven. In other words, there is something essential about the childlike perspective for the person who wants to see the kingdom of heaven. But what is Jesus talking about? What is this childlike perspective that Jesus has in mind? What does Jesus mean in Matthew 18:3 about entering the Kingdom like a child? The two concepts of entering (or seeing) the kingdom and going to heaven when you die are not equivalent in the Bible. It is important that we recognize this, because Jesus says that seeing the kingdom of heaven requires humility. If seeing the kingdom of heaven was the same as going to heaven, then the good work of personal humility would be required for entrance into heaven after death. But eternal life is received by faith alone in Jesus Christ alone (John 3:16; 5:24; 6:47); not by living humbly before God. Good works are not required to gain entrance into heaven. What then is the kingdom of heaven? 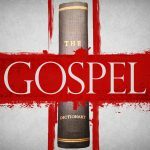 In the Gospels, the phrase “kingdom of heaven” or “kingdom of God” refers to the rule and reign of God in our lives now on earth. It is about God’s will being done on earth, as it is done in heaven (Matthew 6:10). Seeing the kingdom of heaven is not about life after death, but about living and experiencing God’s life in this life here and now. This is what Jesus has in mind when He teaches about becoming like a little child. Experiencing the life of God in this life requires humility like a little child. In what way? Not by remaining ignorant, for God gave us Scripture so that we might learn, grow, mature, reason (Isaiah 1:18), and become students, disciples, and followers of Jesus Christ (Matthew 28:19-20; 2 Timothy 2:2). Instead, becoming like a little child means that we maintain the wonderful and beautiful characteristics and qualities of children that life in this sinful world tends to beat out of us. Openness about emotions and feelings. Always thinking the best about life and other people. These are the sort of qualities that tend to define children, but which get stripped out of people as they encounter the sin and brokenness of this world. As adults, we get bored with flowers, bugs, and sunsets. We lose delight in talking with others about nothing. We become jaded and disinterested. Adults hold grudges, harbor fears, and stay angry. Adults lose hope because their hopes have been dashed and destroyed so many time. Adults do things “because they’ve always been done that way” and have trouble imagining anything different. But children do not behave in any of these ways. Nor did Jesus. Does this mean He lacked wisdom and understanding? Far from it. Jesus was “childlike” because He was full of the wonder of life, the hope for humanity, and the beauty of creation. Jesus lived in awe of life, awe of God, and awe of humanity. And this awe was contagious. People who saw how Jesus lived began to see how life should be lived. Jesus revealed how God intended life to be lived. In other words, those who begin to live life like Jesus are those who begin to see heaven come down to earth. They begin to see the rule and reign of God unfold in their own life with all its beauty, majesty, glory, and creativity. This is what Jesus Himself lived, and this is what Jesus invited others to live also. He taught that if you want to experience God’s life in this life (the kingdom of heaven), then you need to become like a little child once again. Do you want to enter the Kingdom like a child? If so, then ask questions. Lots of questions. But also have fun. Laugh. Play. Imagine. Sing. Dance. Hope. Dream. Forgive. Create. Trust. Live life to the full. Be excited. Be adventuresome. Be tender of heart. And most of all, love. When you live this way, you will become like a little child, and will see the kingdom of heaven rise again in your life. Thanks for clearing that up as I was one who had read that passage wrong and have been as of late asking God what it means to possess childlike like faith. I will no longer pray that way but instead ask God for that childlike humility. I can look back at my own son and remember so much about him as a child that fits perfectly with your explanation. So since childlike faith is an incorrect reading of that passage I would like to ask you, what does it mean to possess faith the size of a mustard seed that can move mountains? How does one acquire that kind of faith? The Faith that pleases God is the one that is given to the sinner at the time of his engagement with the gospel offer. This is according to Romans 10:17 ‘that faith comes through the hearing of the word of God. This faith is given by God to those who were regenerated for then to exercise in believing the gospel. Without being regenerated first this faith cannot be given because the old man is dead in sin, totally separated from God and cannot come to cod in his own accord. All fallen man have their own “native faith” or self generated faith including the cults. Even the demons have their own faith and even shudder, but it never save them. Why?, because that “native faith” or self generated faith is sin infected and can never be used to win favor with God. Man will surely boast of himself. Salvation is the 100% the work of God (Monergism). Man has no whatsoever share in it .